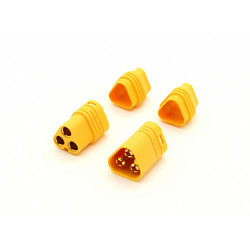 MT60 3 Pole Motor / ESC Connector 1 pair.High quality, MT60 connectors.Suitable for all RC pro..
2 pairs of XT90S Anti Spark Connectors and 4 soldering covers to keep everything tidy. 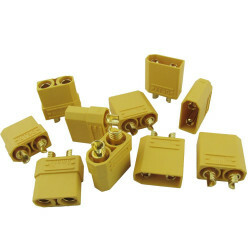 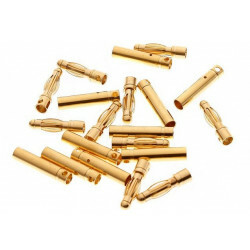 Thes XT90 connectors are 4mm gold plated and are best suited to high powered electric models. 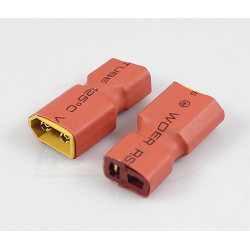 There is a small resister attached to the beginning of the plus side of the connector then when the connector is fully engaged the resister is then bypassed allowing the full flow of power through, this stops the initial sparking that occurs with higher powered set ups sometimes damaging the ESC. 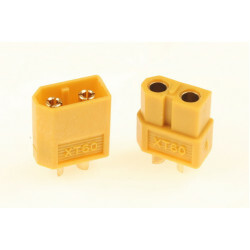 Please see the video below for more information on how the XT90S works.